The chef and service at Raku know more of the Japanse kitchen and dishes than the average Japanese foodlover. For everyone who is Japanse this is the 'kitchen to be!' 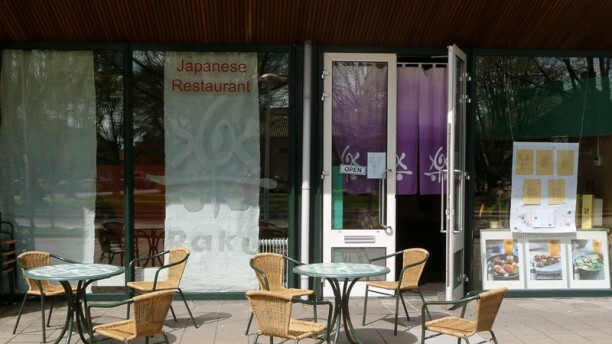 Enjoy the best Japanse dishes and get to know what the real Asian kitchen tastes like. Very good sushi and ramen. I have visited Raku many times, never had a poor meal. Staff very friendly and the service is excellent. Thoroughly recommended. I have visited this restaurant several times in the past; have gone back because of the consistent quality of the food (authentic Japanese) and the friendleness of the staff. After not being able to go there for almost a year recently they still recognised me, treating me as an old friend. Thoroughly ecommended. Delicious, authentic Japanese food. Friendly, helpful staff. Peaceful decor and great but unintrusive background music.